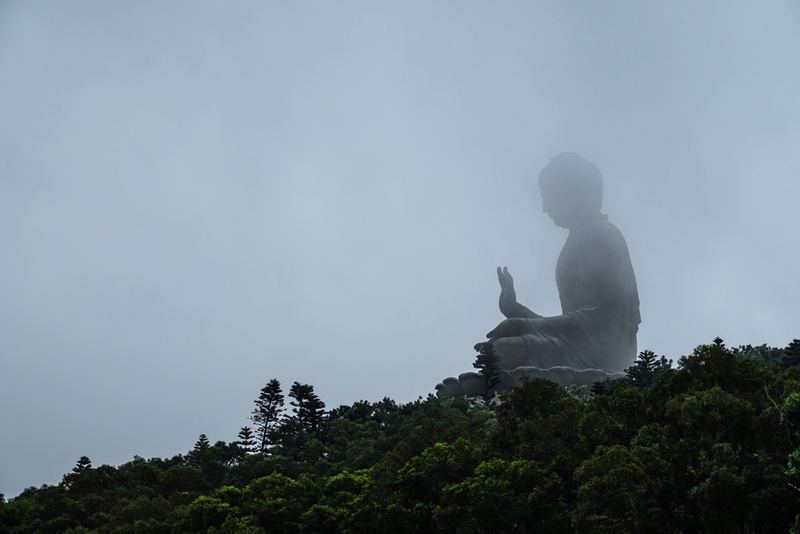 The Lantau buddha is quite spectacular in size, and a few hundred meters above sea level. As a consequence, even when the weather is relatively nice by the shore, it’s often shrouded in mist. I wanted to capture that the last time I went there and I was lucky enough that there was a dense fog that veiled the massive statue. Moody, don’t you think ? Shooting drummers in badly lit clubs is always tricky, because things move too fast for the camera to capture. Getting good shots is a combination of anticipation, repetition and luck. 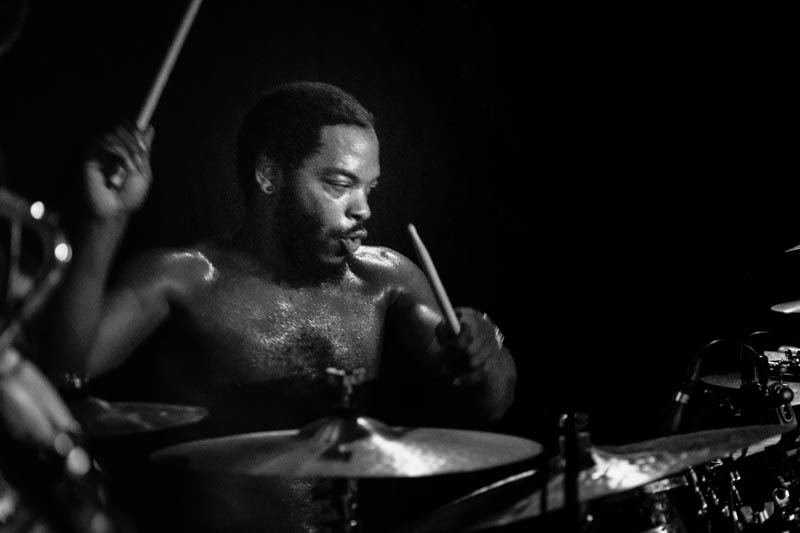 Here I managed to get Julian Addison with both sticks up and an interesting facial expression, I consider myself lucky! There’s something super powerful about the sound of the baritone saxophone, that vibration that you not only hear but feel within you. Roger Lewis, aka The Dirty Old Man is one of my favourite baritone players. He has the power, but also the refined register, when he chooses to exert it. At that gig in Paris, he played a beautiful high register solo on a super low key version of Drown in my Own Tears sung by Greg Davis and backed by Takeshi Shimmura on guitar. It’s quite rare that when I’m taking concert photos a musician will look straight at me. At least it used to be before I got that big 50-140 zoom lens. 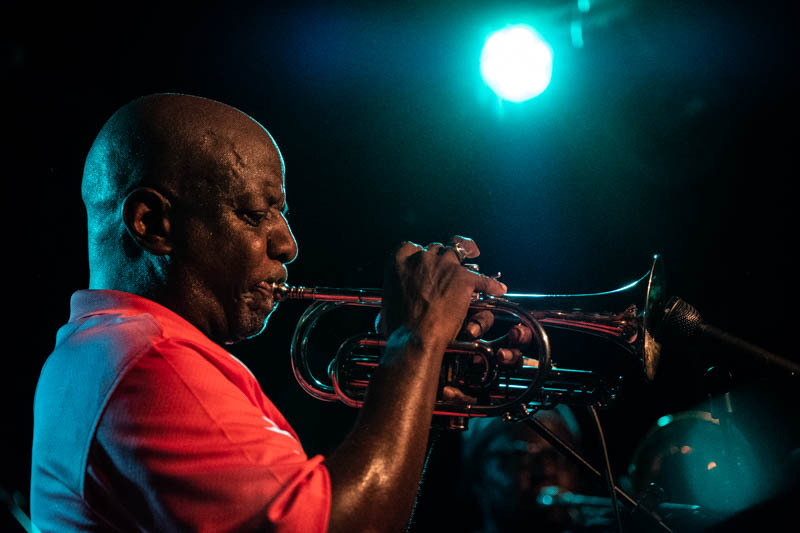 At that Dirty Dozen Brass Band gig, I harvested several shots where the musicians were clearly looking at me. 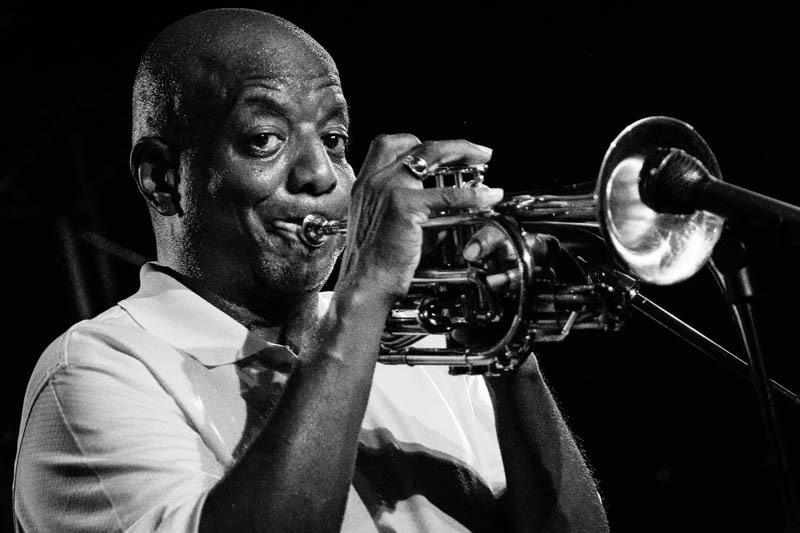 This one of Greg Davis has a bit of an old Louis Armstrong feel. 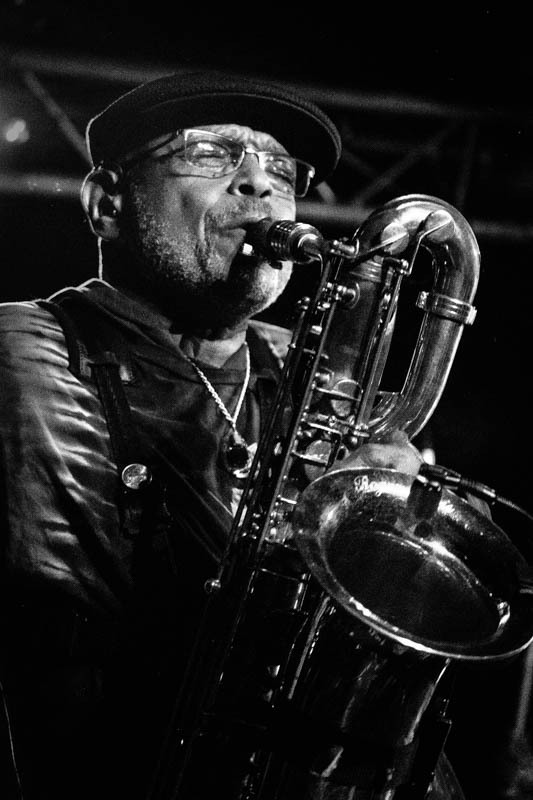 Kevin Harris is the tenor sax in the Dirty Dozen Brass Band and possibly the jazziest of them all. He always plays in a cap and shades, and when I shot this I couldn’t help but think of Bleeding Gums Murphy, the saxophonist in the early episodes of the Simpsons. Must be the frizzy hair. 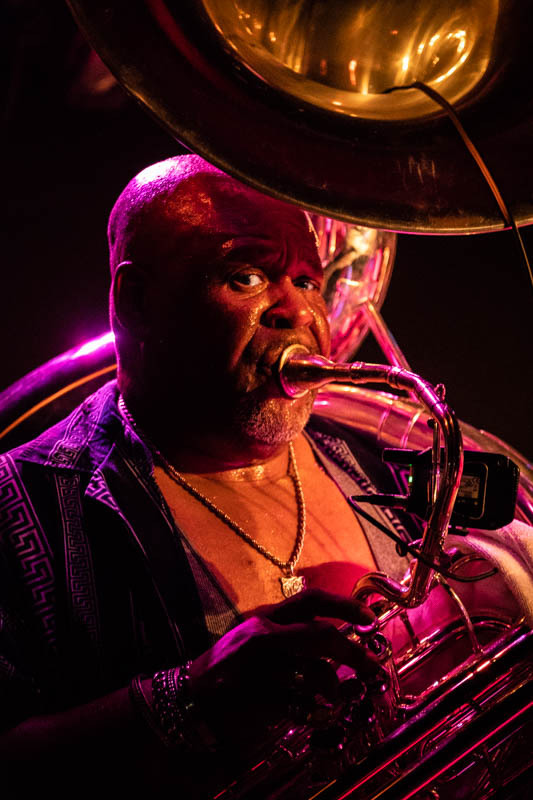 Kirk Joseph is not only a legendary New Orleans musician, he’s also a legend and innovator amongst sousaphone players. His playing was mellow and funky that night, and when I found an opportunity to get close and frame him, he looked at me in this whimsical, inquisitive way. 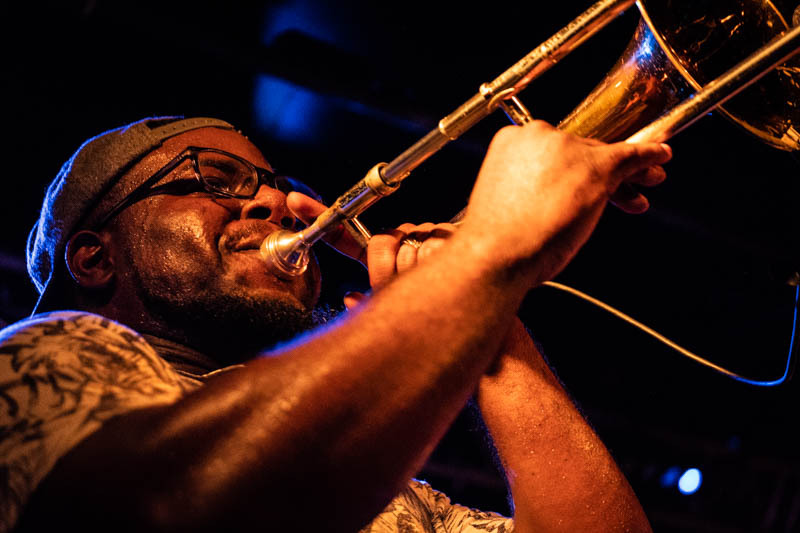 It was hot as hell at the New Morning during the Dirty Dozen Brass Band gig. In fact, one of the band members remarked that it was as hot as New Orleans, except they have air conditioning there. 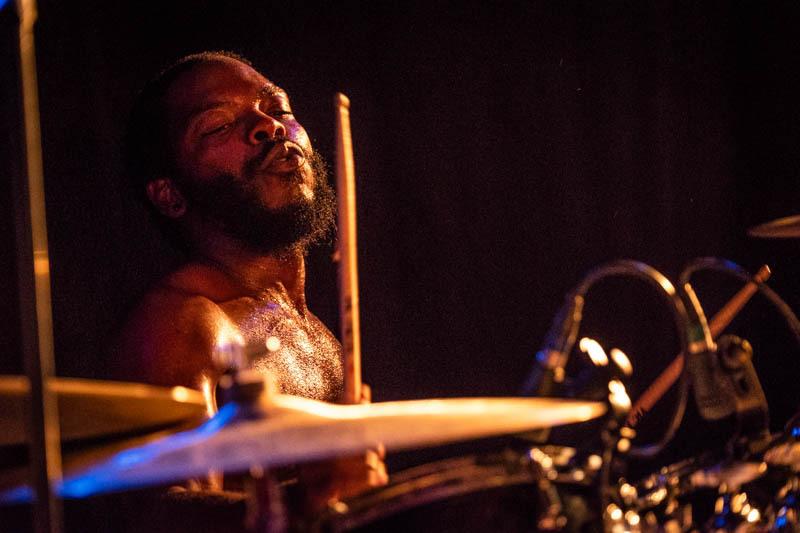 This led drummer Julian Addison to play the second set bare chested, which the ladies probably enjoyed, but pleased me as a photographer as well. It gave these shots a distinct 70s atmosphere. 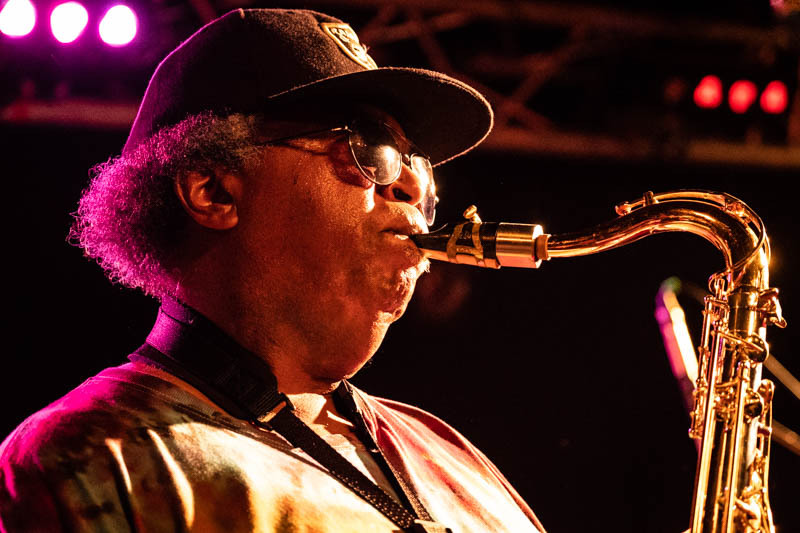 Last week I was lucky enough to see the Dirty Dozen Brass Band live in Paris. It’s my 6th time seeing this band, and it never gets old. This is trumpet player and singer Greg Davis, and I particularly like this profile outlined by the blue overhead light. Cory Seznec is a wonderful guitarist whose band is full of wonderful talents. 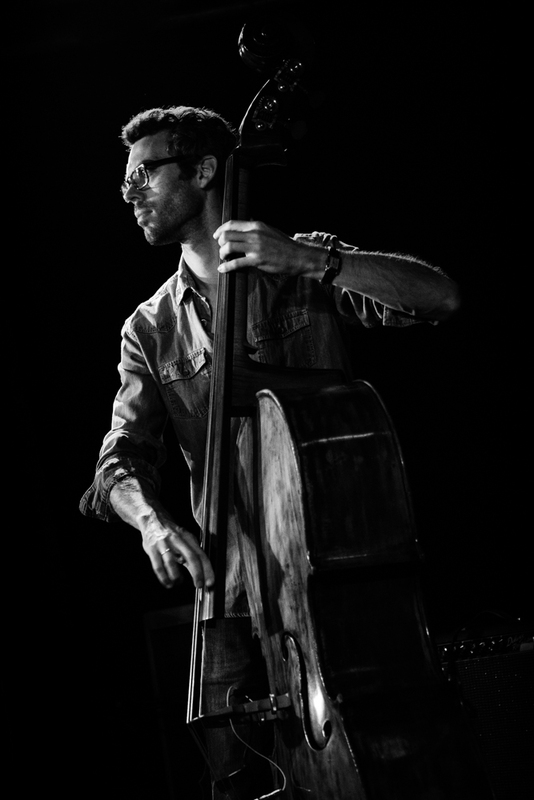 But there is something about double bass players that makes for great compositions, I find. I really like the intensity in Thomas Garoche’s expression here. Incidentally, this was my first gig shot with the 50-140 f/2.8 OIS lens, and my first gig ever shot with stabilization. It’s wonderful! I haven’t pushed it to extremes yet (I was still shooting at a speed faster than the focal length) but I will try pushing it in the future.